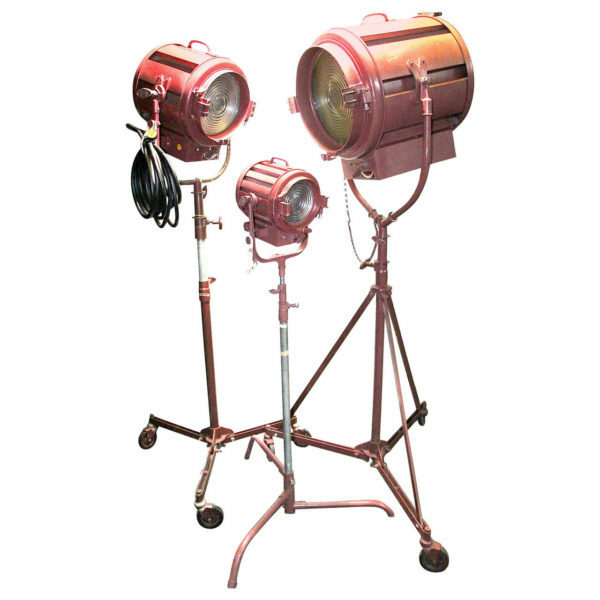 For your consideration, an array of three iconic vintage Mid 20th Century Hollywood cinema spotlight fixtures all in the same original Mole Richardson factory color, sitting on factory correct vintage stands. All have original patina from working in Motion Picture Studio filming. These fixtures are very clean and original. 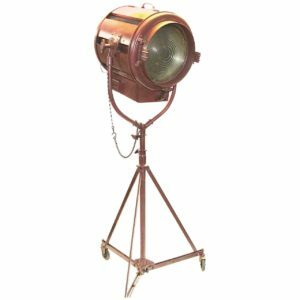 The light stands may have much more usage patina due to the style of transport for light stands at the studios. All will have modern UL approved electrics to take a household light bulb. 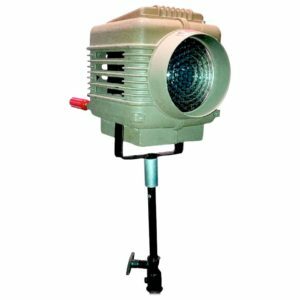 The smaller sized fixture measures: top to bottom: 16in; front to back: 12in; left to right: 11in. 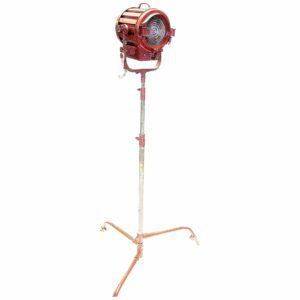 The medium sized fixture measure: top to bottom: 24″; front to back: 17″; left to right: 17″. 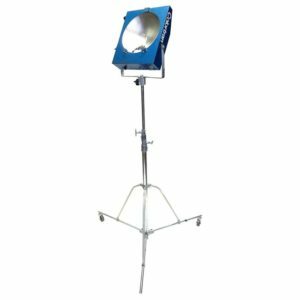 A wonderful array of three lights that give a true Hollywood Sound Stage look to your home or commercial interior space.